This Week in Brattleboro History – Wearing Toilets? It was one 120 years ago this week that a fancy dinner party at the Brooks House was attended by 125 of the most prominent citizens in Brattleboro, and a local paper reported to each attendee wore extremely rich and handsome toilets. BHS trustee, Joe Rivers, and his history students at the Brattleboro Area Middle School answer this riddle with a story of history and etymology, on this week’s edition of This Week in Brattleboro History. Middlebury College professor Glenn Andres examines the remarkable range, quality, humanity, and persistence of Vermont’s built landscape, in this talk that looks beyond Vermont’s pastoral stereotypes to examine the remarkable range, quality, humanity, and persistence of its built landscape. Glenn Andres has taught, primarily in the areas of architectural and urban history, at Middlebury since 1970. His research spans from the Italian Renaissance through 19th century America to postmodernism. He holds a bachelor’s degree in architecture from Cornell University and a PhD in architectural history from Princeton University. His doctoral dissertation on the Villa Medici in Rome was pursued while a fellow of the American Academy in Rome. Recorded at Brooks Memorial Library on December 2, 2015 as part of the Vermont Humanities Council sponsored First Wednesdays statewide lecture series. This Week in Brattleboro History – Santa visits Brattleboro. It does not go well. On November 21, 2015, Brattleboro’s American Legion Post 5 honored local soldiers killed in action during the Vietnam War. A ceremony, at the post home on Linden Street, included students from Brattleboro Union High School reading the names and a brief biography of each of the 11 men, followed by a brief address by Dr. Robert Tortolani, a combat battalion surgeon during the Vietnam War. Below visitors will find photos shared by the family, a brief biography and a student tribute by Aidan Paradis remembering the life and service of John Charles Blake. John Blake was born on in Brattleboro son of Stetson and Irene Blake and was raised with his brothers Stetson (Bob) and Andrew (Andy) and his sisters Patricia (Partlow) Manch and Mary Lou (Jarvis) Potvin. John attended St. Michael Grammar and High School and graduated in the class of 1963. He was a class leader and basketball star. John enlisted in the Navy and became a corpsman. He was deployed to Vietnam in the fall of 1969 and served with the 2nd Batalion of the Fifth Marines in Quang Nam Province, southwest of Da Nang. John’s Aunt Ronnie served with the State Department. She was stationed in Saigon during the war. John was able to fly to Saigon and spend Christmas 1969 with his aunt. Below visitors will find photos shared by the family, a brief biography and a student tribute by Elizabeth Day remembering the life and service of Jan Alan Ulmer. Jan Ulmer was born in Brattleboro, son of Gordon and Margaret Ulmer. He was raised at 18 Forest Street (now 7 Thorn Lane) with his three siblings: Shirley Olivio, Gordon Ulmer, Jr., and Judy Valente. Jan graduated from Brattleboro High School in 1961, where he “lettered” in football, tennis and skiing. Jan was a very skilled ski jumper and he represented the Brattleboro Outing Club in many ski jumping competitions. He attended the University of Colorado and studied radio at Cambridge School in Boston before he joined the Army in 1965. Jan enlisted in the Army in 1965 and was commissioned a Second Lieutenant in the Special Forces in 1966.While on leave before traveling to Vietnam, Jan married Suzanne Marois at Guardian Angel Church in Berlin, New Hampshire on July 8, 1967. In Vietnam, Jan served as a forward observer. He died in combat during the “Tet Offensive” on April 18, 1968 in Tey Ninh Province. 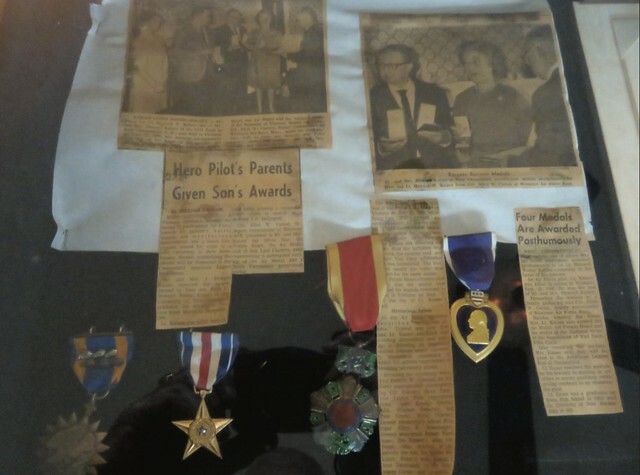 In addition to the usual medals, Jan was awarded the Silver Star and the Bronze Star. On August 8, 1968 his widow was awarded his medals at a ceremony at the State Armory in New Hampshire. Below visitors will find photos shared by the family, a brief biography and a student tribute by Breanna Sheehan remembering the life and service of Paul Richard Dartt. Paul was born in Brattleboro, the son of Donald and Doralys Dartt on March 20, 1946. He grew up with his brother Roger and his four sisters: Donna Cole, Ruth Blunt, Kathleen Macie and Janet Curran. Paul attended St. Michael School. She recalls that even though Paul was a year and a half younger, they used to pass themselves off as twins. She called him “Pee Wee” when he was a kid, which is ironic because he grew to be 6’4″ and weighed 144 lbs. Paul was big on dares. One time, he dared his sister to eat pebbles saying they were supposed to be good for you. She declined, but watched in awe as he downed a handful of little stones. Another time walking from his home to Memorial Park to go swimming on a particularly hot day Paul came up with a great idea to get a ride. He suggested that his little sister Janet, lie down by the road and pretend that she had fainted due to the horrible heat, and that he would flag down the next car coming. Well the next car that came by did stop, and it was Frank Dearborn (Brattleboro’s Recreation Director.) Paul started telling him his not too convincing story about his poor sister. Frank saw right through Paul’s scheme but gave them a ride anyways, along with the advise of not ever doing that again or he would tell our parents. In his middle teen years he was a little bit of a rebel, cigarette behind his ear, he was carefree and doing what made him happy. All of that was fun, but not a very productive path to continue on. His older brother Roger was in the service at the time and suggested to Paul that it might not be a bad idea for him to follow suit. There were possibilities for new adventures and experiences that would be available to him. So Paul, at age 17, enlisted in the Army and served a tour in Vietnam and returned to Brattleboro on leave after successfully completing his 13 months in-country. In 1963, Paul returned to Vietnam for a second tour. 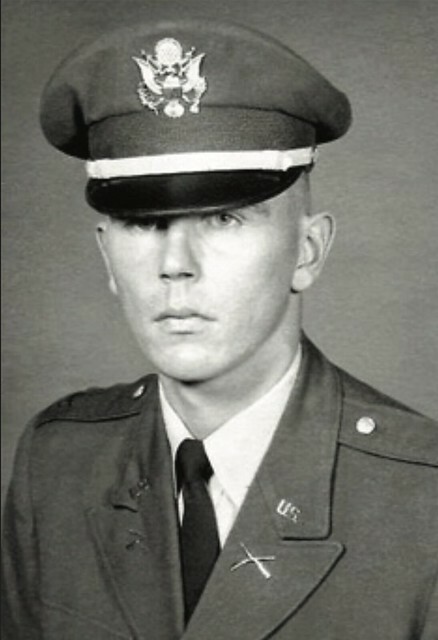 He fought bravely in the “Tet Offensive” in I Corps and lost his life on October 24, 1963 in Quang Tri Province. In addition to the usual medals, Paul was awarded the Bronze Star for bravery. It is with great pride that we, his family, realize what he did for our country, and equally proud of the medals he earned. A younger cousin Steve, who was very fond of Paul, honored him years later by naming his first-born son after Paul. Because our brother was not married nor had any children, that also was quite an honor. Below visitors will find photos shared by the family, a brief biography and a student tribute by Dante Amadeus Fernandez, remembering the life and service of Howard Walker Kaiser. Walker, as he was affectionately known, was born on March 25, 1941 to J. Howard and Alice Kaiser. His siblings included an older sister, Kathleen and a younger brother, Peter and sister, Beverly. He attended Chesterfield Central Elementary school, Keene High School and the University of New Hampshire. While attending UNH, he enrolled in ROTC the Air Force which led to his entrance into the military. He had many, many friends as he was very sociable and likable person! Loved to party and never took life too seriously. Walker was an avid hunter and fisherman. We used to compete to get to the best fishing hole on opening day in April. He usually won! He always wrote from where ever he was stationed and wanted to know if I or anyone else had got their deer yet. 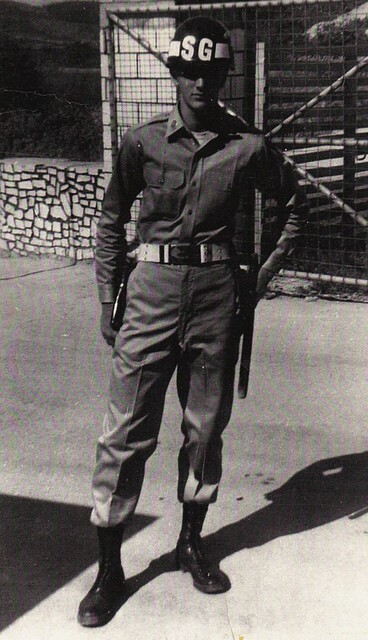 Walker was stationed in Song Be, South Vietnam in 1966. He was a forward air control which meant he was responsible for reporting enemy concentrations and movements so ground troops could engage. An extremely dangerous task considering he was flying a small, unarmed aircraft that was a favorite target for the enemy. It was not uncommon to have several missions a day for weeks on end without any break. later recovered and he now rests beside his father in Morningside Cemetery in Brattleboro, VT. He was awarded the Purple Heart, the Silver Star, 17 Oak Leaf Clusters and several other related medals. These medals are on display at the American Legion hall in Chesterfield, NH.